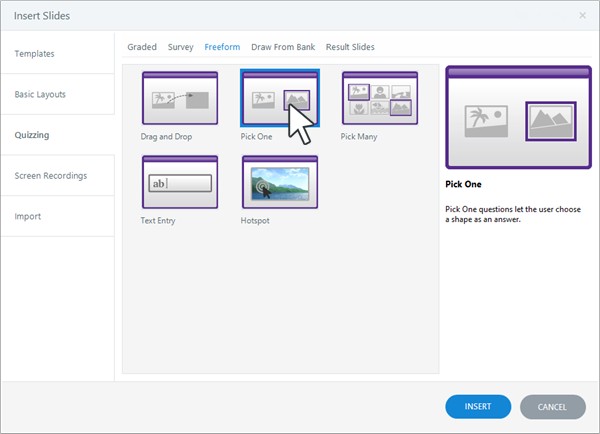 Articulate Storyline's freeform pick one question behaves like a multiple-choice question, but instead of using text as your answer choices, you can use objects—pictures, characters, shapes, buttons, and more. Click the Freeform tab at the top of the window and select Pick One. 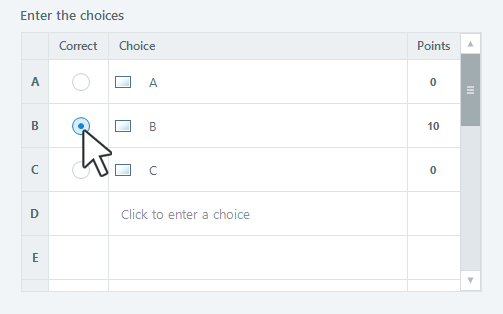 Switch to Form View and proceed to the next step to identify your answer choices. Place your cursor in the Choice column, and use the drop-down selector to identify the objects that you want to convert to answer choices. As you scroll over the items in the list, Storyline outlines them in red on the slide thumbnail on the right side of the screen, so you can see what you're selecting. Storyline adds a Selected state to each answer choice and gives it a glow effect. When a learner chooses an item, its Selected state will automatically be invoked, so it'll be obvious which item they've chosen. You can modify the Selected state with different formatting. To learn how, see Adding and Editing States. 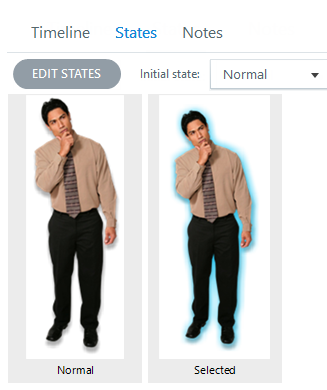 The default color for the glow effect comes from your theme colors, specifically Accent 5. To learn more about theme colors, see Working with Theme Colors. 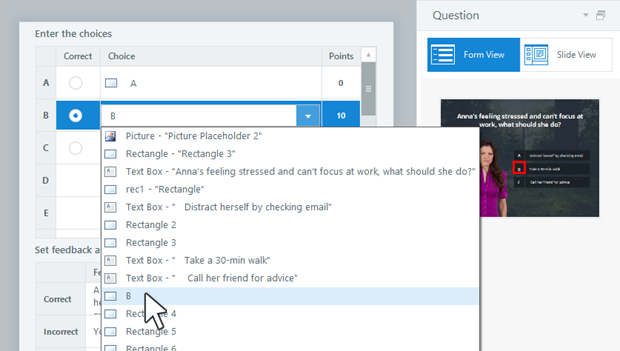 After creating a freeform pick one question, you can customize several of its attributes, including shuffling of answer choices, feedback, branching, score, number of attempts, and whether learners are required to answer it or allowed to skip it. To learn how, see Working with the Question Editor. When you remove freeform functionality from a question, it becomes a standard content slide. Text and other objects remain intact. Only question-related properties, such as score and feedback, are removed.